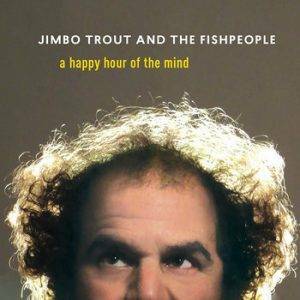 JimBo Trout & the Fishpeople are a high energy, good-time band from San Francisco that has been together since 1992. They perform a musical gumbo made up of bluegrass, ragtime, blues, western-swing, Appalachian, rock+roll, New Orleans, honky-tonk and more. But they are not a band that would let tradition stand in the way of a good time! JimBo Trout and the Fishpeople are known for their entertaining, energetic and danceable live shows. This is a new collection bluegrass, old-time mountain music, swing, cowboy, and folk music meant for kids and young people of all ages! This album is meant to provide the listener with “a happy hour of the mind”! That’s right–expert musicians evoke diverse musical settings such as rural pastures and train stations and whisky rivers that will provoke an easy feeling in the brain. 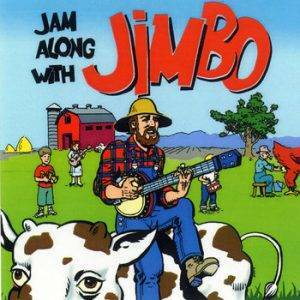 Jam Along with Jimbo is the children’s music album that everybody can love! Classic songs from bluegrass, blues, mountain music, campfire songs, lots of songs about animals–that’s what this album brings! And check out the wonderful album cover commissioned by legendary cartoonist Spain Rodriguez! 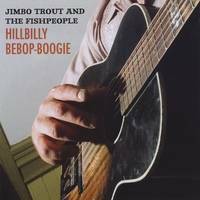 Featuring JimBo Trout on banjo, guitar, harmonica, kazoo, and vocals with The Fishpeople, including Steve Neil (bass, vocals), David Phillips (guitar, vocals), and Kevin Gerzevitz (accordion, vocals), along with The Squirrelly String Band. Hillbilly Bebop-Boogie is a superb collection of hot fiddle tunes, lowdown blues, bluegrass, hot swing, waltzes, and ballads all performed by seven of San Francisco’s heaviest hitters. Hillbilly Bebop-Boogie features JimBo Trout on banjo, guitar, kazoo, and vocals with The Fishpeople including Steve Neil (bass, vocals), David Phillips (guitar, vocals), and Kevin Gerzevitz (accordion, vocals), Annie Staninec (fiddle), Greg Laakso (clarinet, tenor sax), Jimmy Sweetwater (washboard, harmonica, vocals). 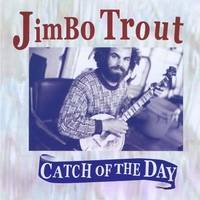 Catch of the Day is the solo debut by JimBo Trout. JimBo takes a trip through regional old-time music styles on the guitar and 5-string banjo with stops in Memphis, Appalachia, Nashville, Texas, and beyond. The opening track “I Heard the Voice of a Porkchop” sets the tone of the album with JimBo’s spirited picking on this infectious but little-known classic by Jim Jackson, a Memphis songster of the 1920s. 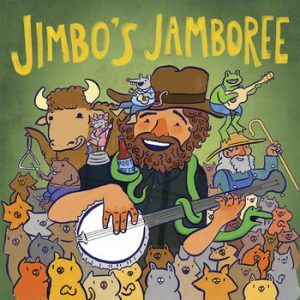 JimBo’s unique old-time banjo style is featured on “Forked Deer” and “Abe’s Retreat.” And who can resist “Cindy”? Yodeling hobo songs, old-time banjo tunes, ragtime-blues, cowboy songs and more.